Microphones are a vital part of your setup as a communicator. The links in this article are affiliate links and purchasing an item through them gives a small percentage to me at no extra cost to yourself. This helps with the running of the blog and is much appreciated. Surprisingly, even introducing the author’s qualifications made no difference to the audience’s perception of an untrustworthy message if the audio quality was poor. Good audio quality is extremely important to the effectiveness of a message because it affects how someone feels. If you are a professional that communicates via live streaming or videos this study shows that credentials alone are not enough to convey trustworthiness.3 However, simply upgrading the quality of the audio you are conveying your message with can make a world of difference. It’ll increase your effectiveness and is well worth the investment. So let’s have a look at some options that can help. My wife and I own a small business called NutriSector. She is a dietitian and as a communicator, she produces videos and live streams. In 2016 we purchased some audio equipment to improve the quality and hence the effectiveness of her message. One of the things that we had to take into consideration was portability and that may well be the case with yourself no matter what profession you are in. There would be many instances where she would be out at a conference, the supermarket, a farmers’ market or simply a great location and wanted to record a video, live stream or interview. The phone microphone or earphone mic just wasn’t good enough and we knew there were better options. The Rode SmartLav+ can be both your portable and office mic. Please note that if you have an iPhone 7 or above you will need to have Apple’s jack adapter with the lightning connector to use it since none of those newer phones have the audio jack socket. Note: This is not the adapter shown below. 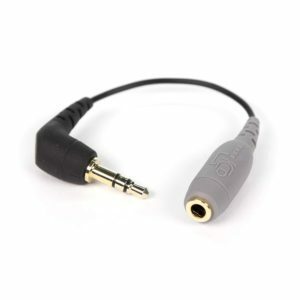 The Rode SC3 adapter allows the SmartLav+ microphone to be used with Android phones, laptops, computers, and even cameras that have an audio jack. Yes! You can use the Rode SmartLav+ on an android phone if you purchase the Rode SC3 adapter for $14.99. Honestly, even if you own an iPhone purchase this adapter as it allows you to connect the lav mic to laptops or computers (that have a mic jack socket) and also to cameras that have an audio jack socket. For $15 you just increase the number of potential areas in which you can use the SmartLav+ mic which increases its value to you. Other accessories include a 6-meter extension cable and an adapter that allows you to use two SmartLav+ mics at the same time for interviews. Since audio quality is so important I recommend doing your research when it comes to choosing a USB microphone. Be careful going with unknown brands, read reviews and pick one that will suit the jobs you need it for. 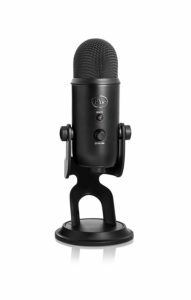 So what accessories might you consider for the Blue Yeti microphone? There’s a boom arm, that clamps to the desk and allows you to position the microphone much closer. Then there’s a foam windscreen that is cheap and helps prevent popping sounds in the audio. The Rode NT-USB is a step up from the Blue Yeti and sounds great. 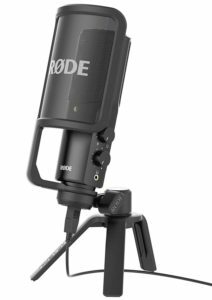 The next microphone is a slight step up in price at $169 and it’s the Rode NT-USB cardioid microphone. This comes with a pop filter and has great reviews. It produces a rich sound that is great for live streaming, videos or podcasting. The base of the mic is not as solid as the blue yeti and care should be taken not to knock it over. It doesn’t have a gain knob (sensitivity) on the microphone like the Blue Yeti but this can be altered on the computer. This mic also allows real-time monitoring via headphones. Accessories for the Rode NT-USB include the PSA1 Swivel Mount Studio Boom Arm at $99. This allows perfect placement of the microphone which can improve your audio. Then there’s also the Rode SMR shock mount to prevent desk vibrations from being picked up in the sound. This costs $75 but can make a real difference. 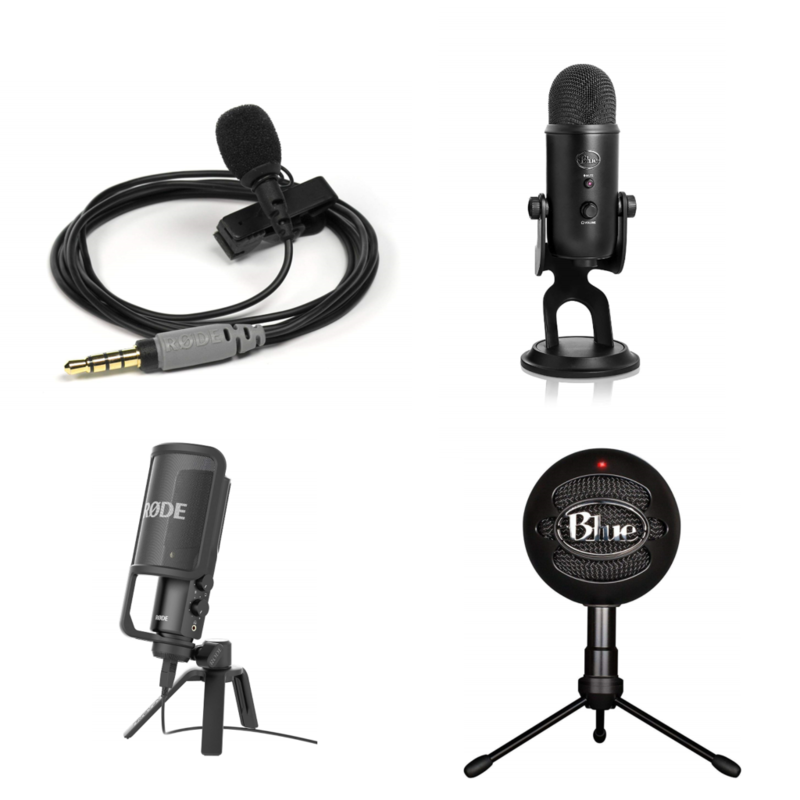 Other microphones to consider are Audio-Technica’s AT2020USB+ at $129 and a slightly more budget friendly Blue Snowball iCE Condenser Microphone (cardioid) at $47.98. Have a read of the reviews and choose a reliable company. If your message is important then a good microphone is honestly worth the investment. My personal advice is to always have a lavalier microphone in your equipment and a good USB microphone. If you can’t get both at once then I recommend first getting the lavalier microphone with the adapter, as this can also be used as a good quality microphone in your office. Then when ready, step up to a high-quality USB microphone for use with your laptop or computer. 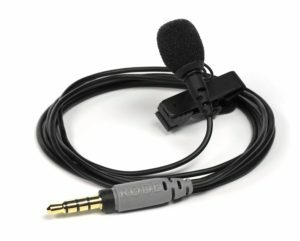 The next step up from USB microphones is the world of XLR microphones which have higher quality and range but require an interface between them and your computer. That’s maybe for another article but most should find the USB microphones more than sufficient. If you are interested in lighting to further improve your videos or live streaming be sure to check out my other article on effective low-cost solutions. It’s important to get a good understanding of your equipment before you first use it publicly to avoid any unnecessary stress. Then enjoy producing videos, live streams, interviews and podcasts knowing that your audio sounds great to the listeners. Good luck and happy communicating!